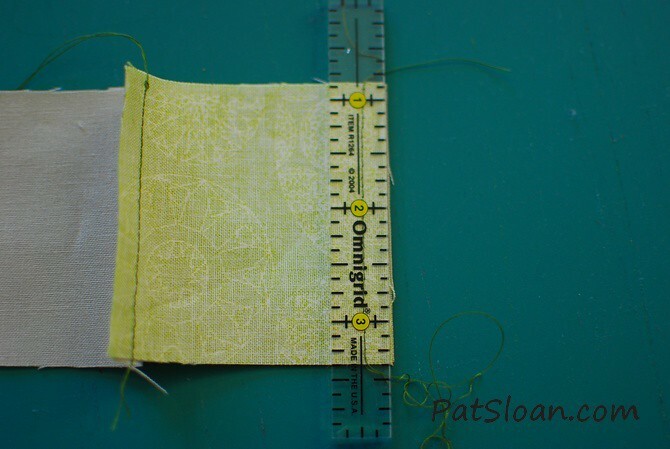 It is always good to test your 1/4" seam allowance to be sure it's accurate. 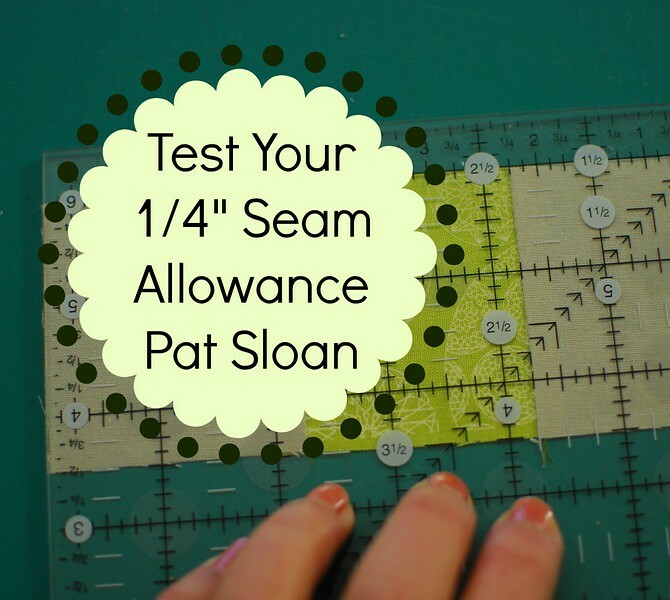 If you change machines or maybe you just never tested it, this is a super simple way to be sure your seam allowance is 1/4". Even if you have a 1/4" foot for your machine it might need to be adjusted. This is the 1/4" foot for my Babylock Crescendo. I love the guide on it. Your machine may have a different foot, or no 1/4" foot. 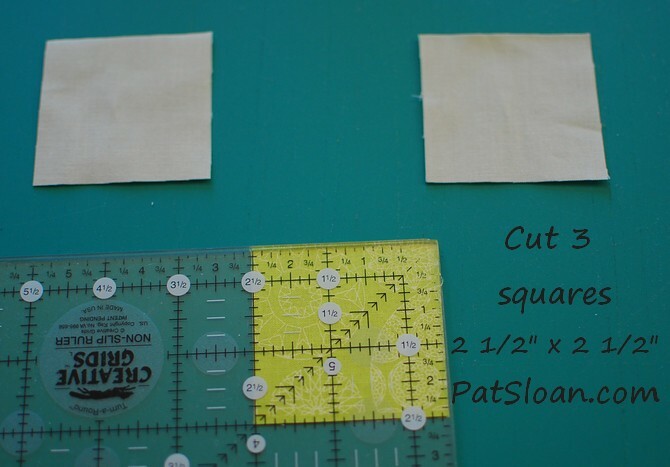 Sew the 3 squares in a row. My Babylock's 1/4" seam foot sews a 'scant' 1/4" seam. Do you see how the seam is to the RIGHT of the line. 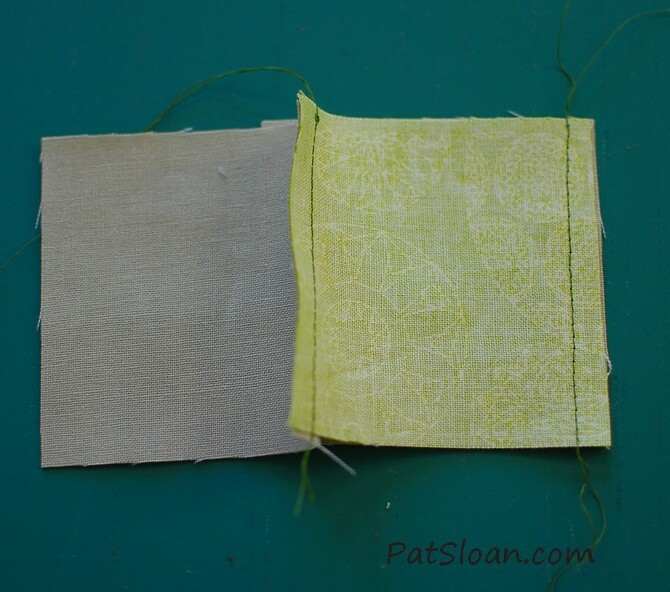 When you fold over fabric it takes up a little space, so sewing with a seam just 'shy' of 1/4" is what works for most people. I have this little 1/2" wide ruler that i keep by my machine to check things. press the unit so the right sides are up for all 3 squares. 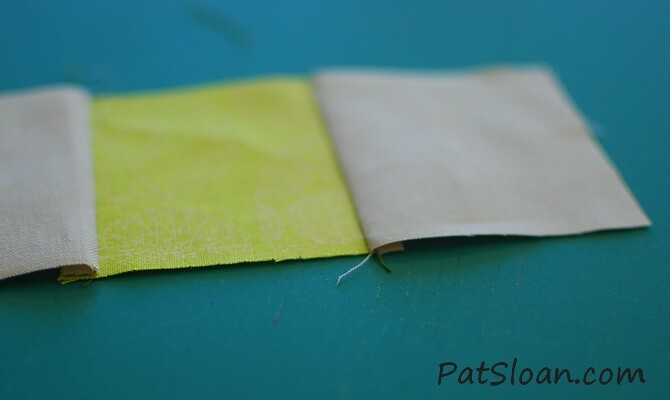 Do you see how the seam allowance creates a ridge? This is before i pressed it. when you press you need to have it flat. That way as you sew the units together they all are at the correct size. First I measure JUST the center block. It should be 2" wide. Now i measure the entire unit. It should be 6 1/2" wide. 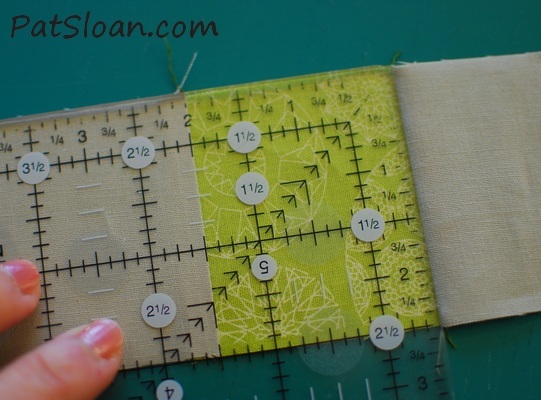 When I test I like to shift that ruler down and have a straight line across the top and bottom of the patchwork. There is a bit of a shadow on the top right, that's even. You can click the photo above for a larger image. 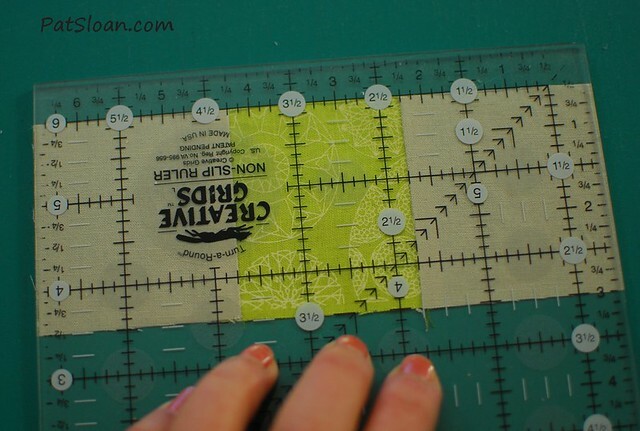 If your block is not accurate, then you need to work on things to find that 1/4". You can shift your needle to the right (although not with the foot I'm using). You can check your 1/4" foot to be sure you HAVE the 1/4" foot. Maybe you are using the wrong foot. If you don't have one, shifting the needle position should work for you. My 6.5" rulers are the very best size for so many things. If you don't have one get one soon!! 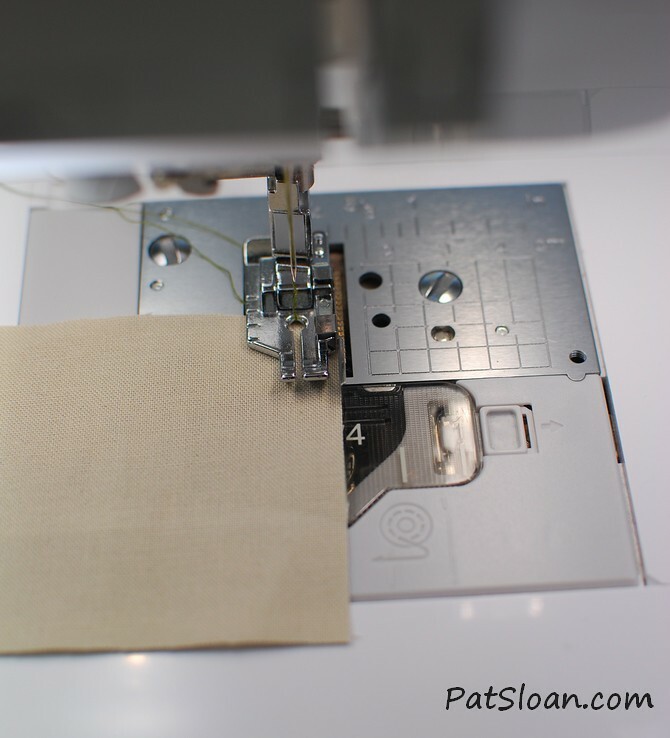 Join my FREE Sew Alongs!